Shawn’s story mastery process of Discover, Remember, Share and Refresh is based on over two decades' work with high-achieving global companies. 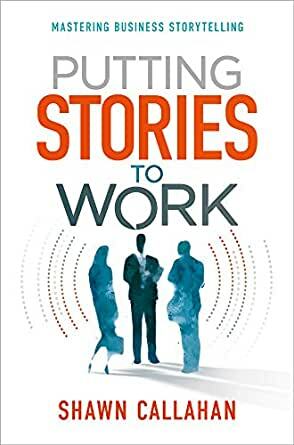 In Putting Stories to Work, each step is spelled out in detail, backed up by research, and, needless to say, illustrated by plenty of great stories. Learn how to find and share stories to connect with new people. How to explain why change is needed. How to influence opinions and promote success. And much more. Most importantly, learn how to take the latent skill of storytelling and turn it into a potent business habit.